I use the sonar to locate the fish. I rarely fish the shoreline. I look for fish in the edge of the old riverbed. Once I locate the fish I will work the area with my trolling motor. Then if they are schooled I actually drop anchor and fish always casting towards the direction of the last caught fish, keeping the wind to my back. 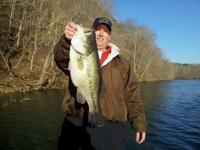 The spotted must school more than largemouth since 75% of my fish caught are spotted bass. Usually thy are caught in the shallower water adjacent to the deeper water. Interestingly, the schools in the deeper water dont seem to hit as much. it as if some of the school move into the shallower water to feed. I can clearly see the school sitting on the edge in the deeper water. The 19 fish I caught today I actually caught all in about 70 mins. The rest of the time was first spent looking for the school. Finding the fish generally take 20 - 45 mins. But then its crazy! I didnt post this but I showed a friend this technique yesterday. We slaughtered them. In about 1.5 hrs the 2 of us easily boated 40 fish. He could not believe how they were stacked up. These were all from the a school in a specific area. This really works. 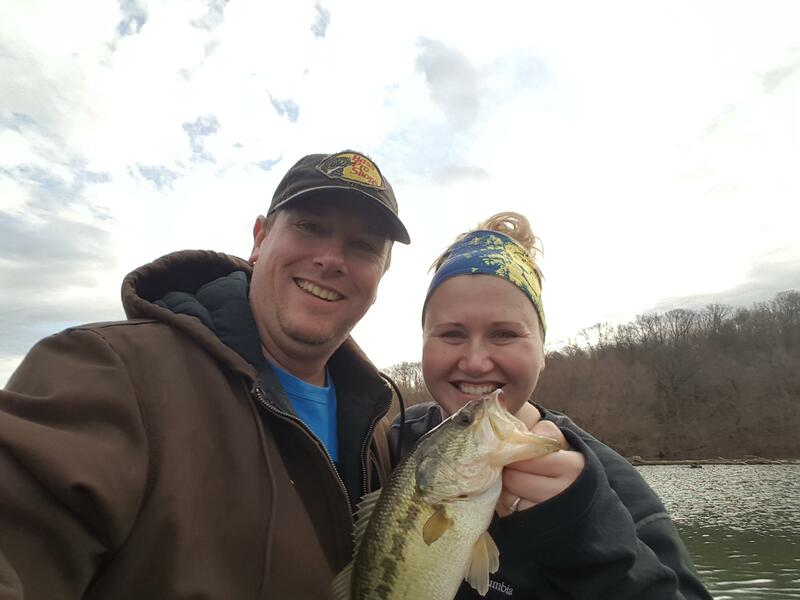 make fishing very enjoyable. PS I do not have similar fortune during the summer months.